Gulp. Okay, time to spill the beans…I am moving to Denmark on Tuesday. And the real reason I have not posted anything this week, is due to the fact that I am completely preoccupied with packing, errand-running and too many goodbye parties to count (thank you, dear friends). 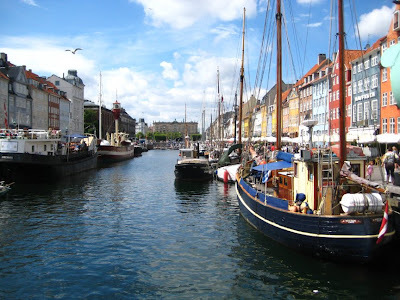 This blog post is relatively old right now, so how’s life in Copenhagen? Was your move good, did you make any new friends yet? Copenhagen! I have been there for a week! Really interesting place! I can not wait to read much more from you. This is actually a great website. Thanks for sharing such a nice information. The VA, goes to show the balance of opposites. it represents the entire company in the simplest way, its perfect. Pat Tenore is a marketing genius. Replacing FCS schools w quality competition will result in stronger SOS, more tv demand and more tv money but will some see this as “the club” getting smaller when the powers that be are calling for equal access to a NC? Could the Big East cry COLLUSION if they are by and large excluded from the schedules of the top conferences? I have been exploring for a little bit for any high quality articles or blog posts in this sort of space . Exploring in Yahoo I ultimately stumbled upon this site. Studying this info So i am satisfied to express that I’ve an incredibly excellent uncanny feeling I found out exactly what I needed. I such a lot undoubtedly will make sure to do not forget this web site and provides it a glance on a continuing basis. Hi, I came across your blog on Google. I married a Dane and had been to Denmark 3 times now. I want to wish you good luck with your moving, and your new adventure in the land of Vikings.